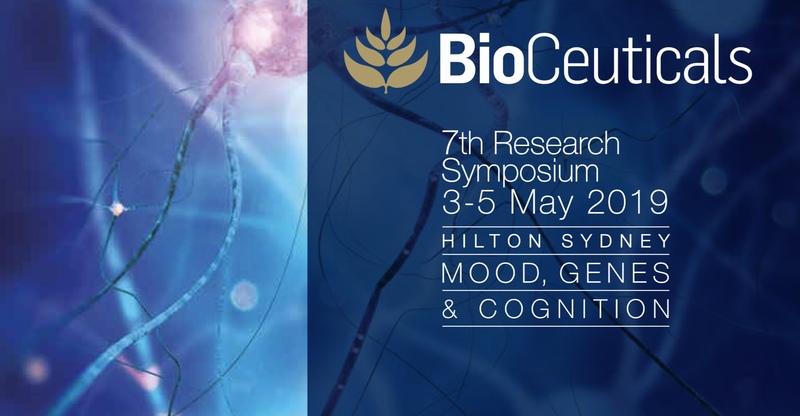 7th BioCeuticals Research Symposium 2019. The theme for it's 7th year is: Functional Neurology with several international experts already assembled as key note speakers. Stay tuned as more details about this event come to hand, and be one of the first to secure your tickets with the early bird pricing. Dr Bredesen Is Professor of Neurology, Easton Laboratories for Neurodegenerative Disease Research, David Geffen School of Medicine at UCLA, Los Angeles, CA. He is also Founding President and CEO, Professor Emeritus, Buck Institute for Research on Aging, Novato, CA. Dr Bredesen established the ADDN (Alzheimer’s Drug Development Network) with Dr Varghese John in 2008, leading to the identification of new classes of therapeutics for Alzheimer’s disease. His group has developed a new approach to the treatment of Alzheimer’s disease, an approach that has led to the discovery of subtypes of Alzheimer’s disease, followed by the first description of reversal of symptoms in patients with MCI and early Alzheimer’s disease, with the ReCODE (reversal of cognitive decline) protocol, published in 2014 and 2016. His book, The End of Alzheimer’s, is a New York Times bestseller. Amanda Archibald is a public health advocate, registered dietitian and former analyst who has pioneered the combination of the science of nutrigenomics with the culinary arts to unveil a new discipline, culinary genomics. This ingredient-centric system of food selection and preparation upends strictly quantified consumption in favour of a deeper understanding of how specific foods interact with our genes and the powerful impact of these interactions on our health. Her innovative work in culinary genomics, unveiled in 2015, in conjunction with her signature ‘food maps’ visually connect ingredients and nutrients to further the understanding of food. Amanda’s work has opened the door to a new understanding of health, one which places food, clinicians, chefs and the kitchen at the epicentre of healing. By so doing, Amanda has ignited a new food conversation for the world. Dr Jay Lombard is an internationally-acclaimed neurologist, author, and keynote speaker; he creates solutions for brain health and intractable neurological disorders. Dr Lombard integrates biological, psychological and existential components in his holistic treatment approach. He is the co-founder and creator of Genomind, a medicine company utilising genetic testing to improve neuropsychiatric conditions, including Alzheimer’s, autism, and depression. Founder of TedMed, Jay Walker, describes Dr Lombard as ‘part Freud, part Sherlock Holmes.’ Dr Lombard’s discoveries have been regarded by key opinion leaders as fundamentally shifting the paradigm of psychiatric medicine. This event has sold out in 2018 and 2017, so book early to avoid dissapointment.